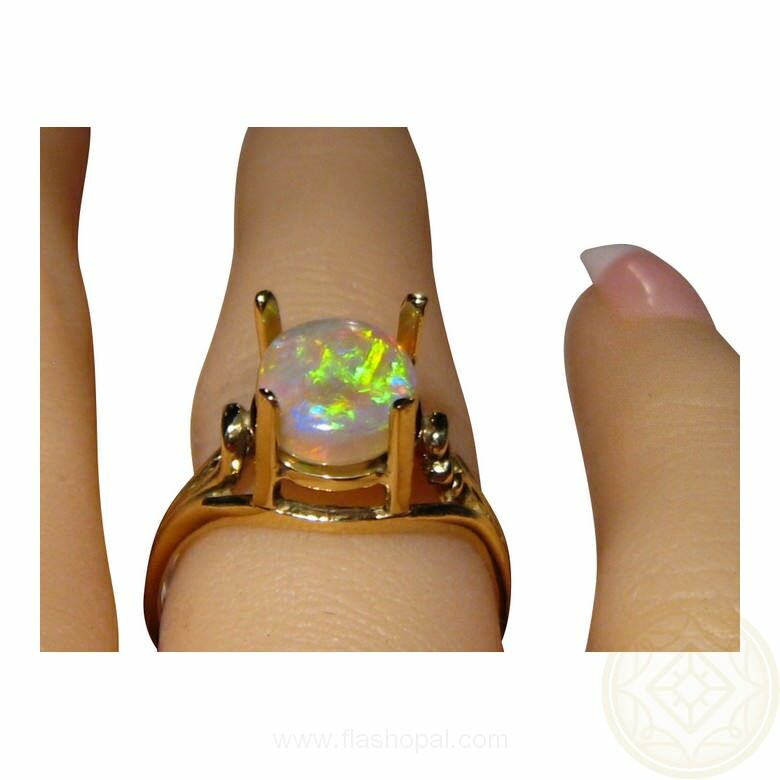 Ladies solitaire Opal ring in 14k Gold with one oval fiery Dark Crystal Opal. In stock and ready to ship. 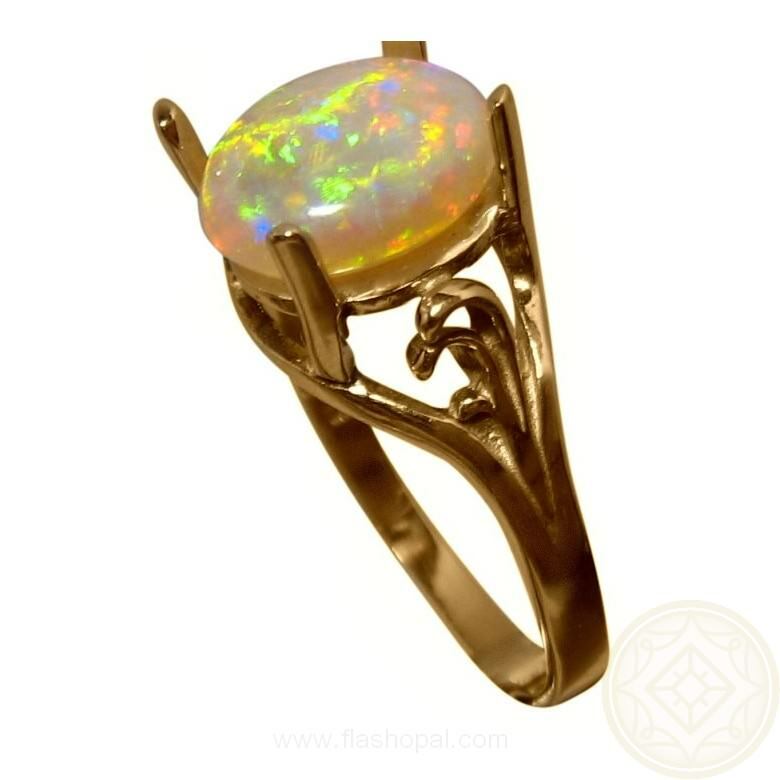 This Opal ring has bright Red, Yellow and Green in a Flame Roll play of color which is best viewed in the video below. 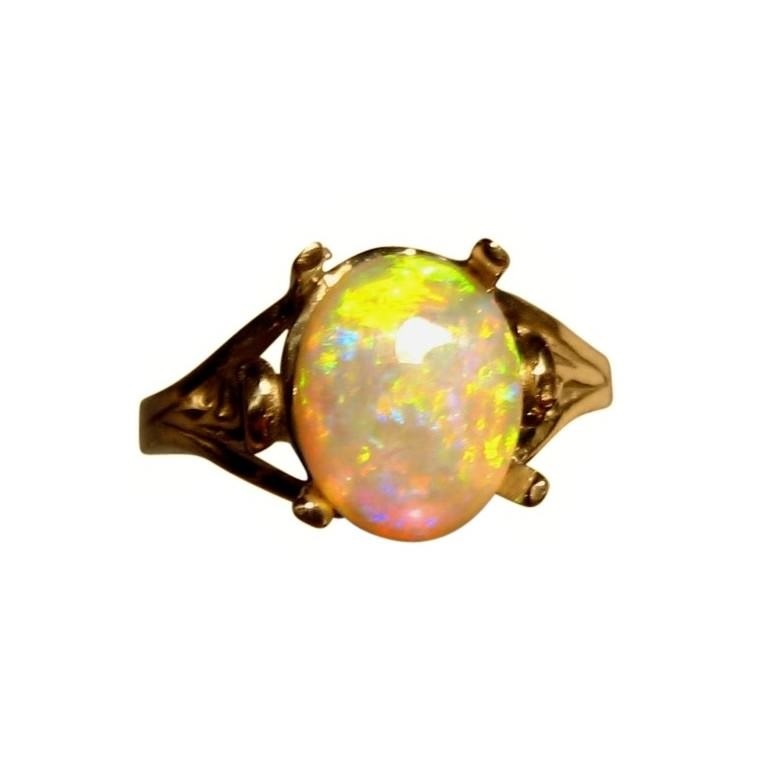 Shown in a 14k Yellow Gold ring with swirl detail on the side and weighing 2.6 grams, the 1.8 carat Dark Crystal Opal from Coober Pedy stands proudly on its own. 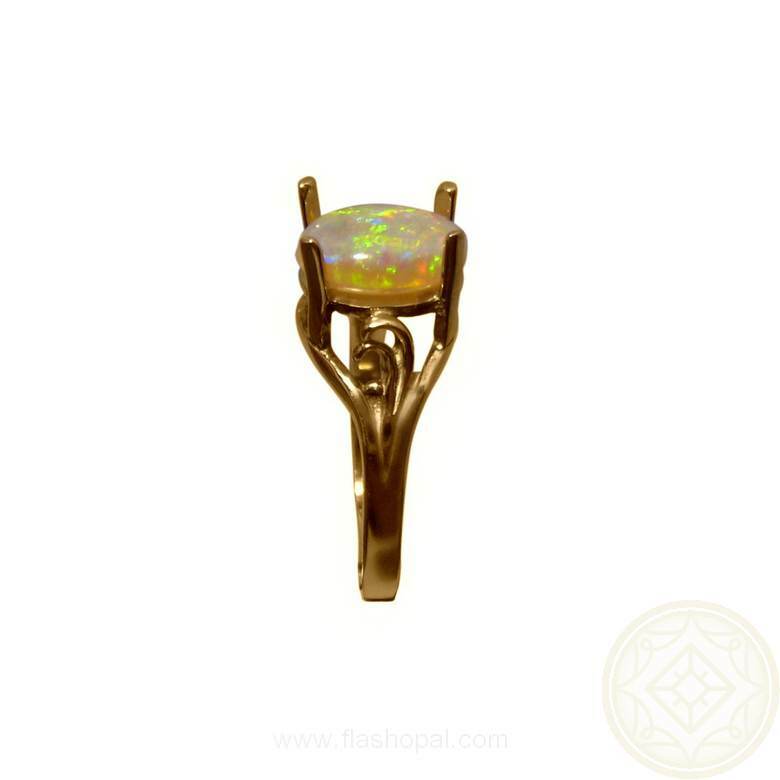 A bright and colorful Opal ring that is ready to ship in a size 7 ¼ or will take about 7 days for any other ring size or Gold color. 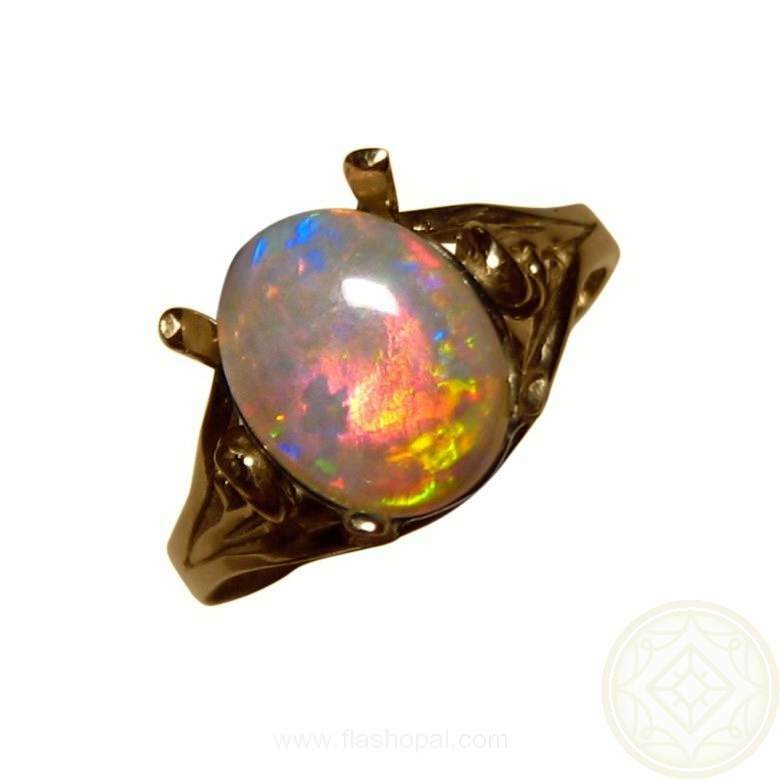 The Opal will be secured after purchase which also gives the option to have it set into a different ring or pendant - simply inquire through this product to discuss your preference.